I hadn't been to Montgomery, Alabama since the summer of 1996, when I took Amtrak's sweet old southbound, The Crescent, down from Washington, DC. The F. Scott and Zelda Fitzgerald Museum, on Felder Avenue in a house where Scott, Zelda and Scottie lived in 1931 and 1932, drew me there; I was a graduate student then, writing about Scott for what would turn into a keynote address for the Fitzgerald Centenary Conference at Princeton University that fall. Ten years before, in 1986, the house was to be torn down, but Julian and Leslie McPhillips saved the Fitzgeralds' old home from demolition and founded the only museum in the world dedicated to Scott and Zelda's lives and works. The town was quiet and beautiful, the museum evocative and full of items from books Scott inscribed for Zelda's father to Zelda's color-filled Modern paintings, and the McPhillipses were most gracious hosts. I vowed some day I'd come back and stay longer. 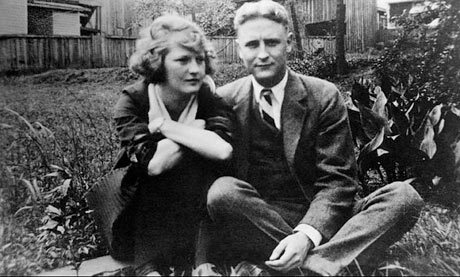 Nearly twenty years later, Scott and Zelda brought me back again - as the 12th International F. Scott Fitzgerald Conference met in Montgomery last week. I joined close to 200 Fitzgerald scholars, admirers, students, readers, and teachers from all over the world - though readers, and admirers, serves to define us all. There were papers and panels on all Fitzgerald's major novels, his short stories, Zelda's art and ballet, Montgomery during World War I, Baz Luhrmann's new movie of The Great Gatsby (2013), and more. Lee Smith, author of a luminous new novel set at the Highlands Hospital near Asheville, N.C., where Zelda was institutionalized and died in 1948, and featuring Zelda as a character, read from that novel, Guests on Earth. Writer and music critic Will Friedwald, organizer of Tales of the Jazz Age: An F. Scott Fitzgerald Songbook, and Scott Donaldson, author of literary biographies including Fool For Love: F. Scott Fitzgerald, spoke at the conference. The new number of the Fitzgerald Review was published as proceedings began. The Fitzgerald Society, sponsors of the Review and of the Fitzgerald conferences, has convened biennially over the past three decades in sites significant to the Fitzgeralds: Baltimore, Nice, Princeton, and now Zelda's hometown, where the young couple first met in the summer of 1918. Scott was a young army lieutenant then, stationed at Camp Sheridan, just outside Montgomery. 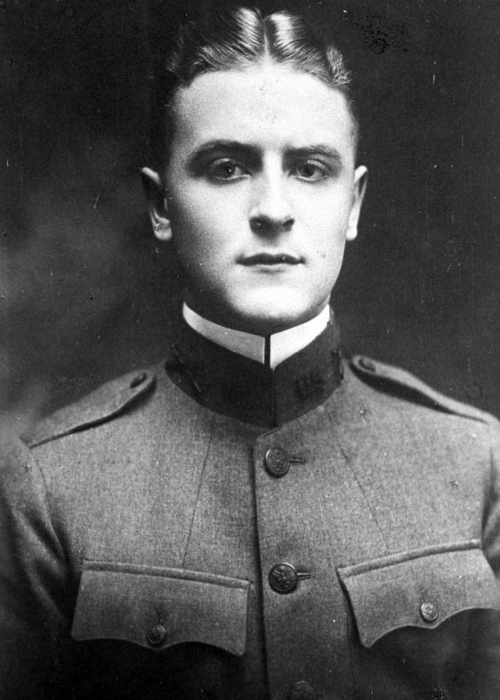 He was waiting on his orders to go to war in France, and, while he waited, writing a novel based on his just-past college days at Princeton. Scribner's rejected his first drafts of "The Romantic Egotist," but accepted a rewritten version, under the title "This Side of Paradise," a year later. 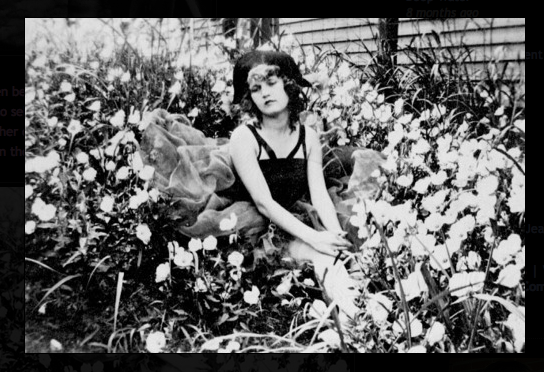 During that year, he and Zelda had fallen in love, gotten engaged, and she had broken off the engagement despite Scott's frequent and sometimes frantic visits to Montgomery. She soon relented, and they married in New York in 1920. Zelda Sayre had just graduated from Sydney Lanier High School in the spring of 1918. She was a playful, smart, sassy Southern belle, the youngest child of an Alabama Supreme Court judge and his beautiful wife, who was an artist, poet, and -- in the terms of her times -- viewed as eccentric. At an afternoon tea at Winter Place, a mansion just up the street from her family's house at 6 Pleasant Avenue, Zelda and Scott most likely saw each other for the first time: according to Joseph Winter Thorington, his aunt formally introduced the two. A blond lieutenant with one missing insignia mounted the Beggs' steps.... There seemed to be some heavenly support beneath his shoulder blades that lifted his feet from the ground in ecstatic suspension, as if he secretly enjoyed the ability to fly but was walking as a compromise to convention. Green gold under the moon, his hair lay in Cellinian frescos and fashionable porticoes over his dented brow. Two hollows over his eyes like the ends of mysterious bolts of fantasy held those expanses of electric blue to the inspiration of his face. The pressure of masculine beauty equilibrated for twenty-two years had made his movements conscious and economized as the steps of a savage transporting a heavy load of rocks on his head. Winter dreams, indeed. Winter Place is uninhabited these days, but, since 2006, is slowly being preserved. The grounds are maintained, after a fashion, and the Victorian end of the house is under a new roof and locked, but the Italianate wing built before the Civil War is open to the wind, the birds, and the squirrels. The gallery, most likely the ballroom where two young people would have met across a crowded room during an afternoon tea, is wild and windowless, waiting to be restored, or to fall. 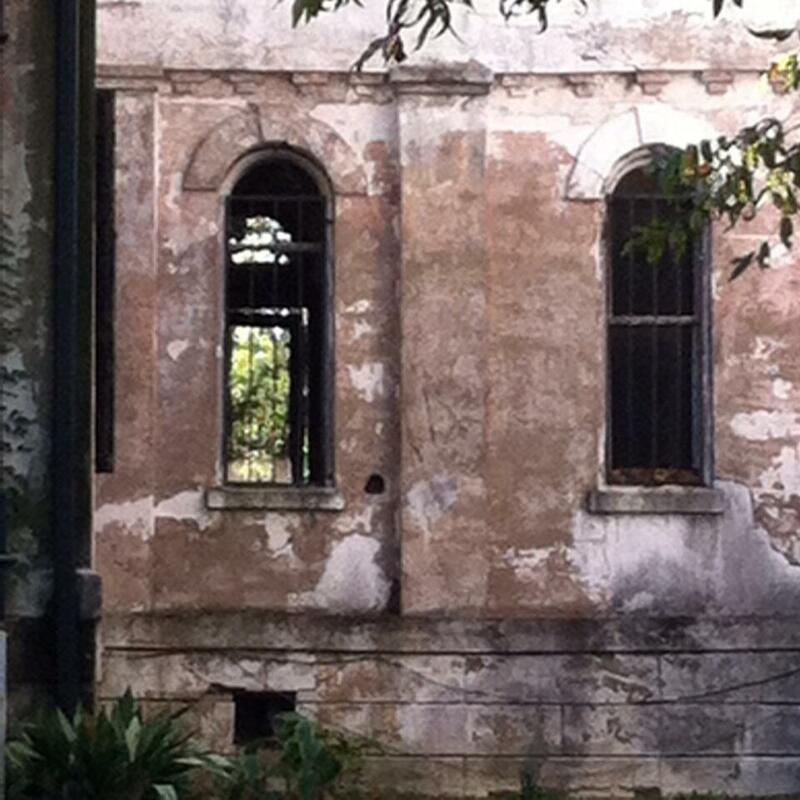 Montgomery is full of vitality and of visions, of the living and the dead, side by side. This is perhaps an easy thing to say of any city or town with a history, but the small size and deep layers of life in Montgomery make you feel it intensely. The Civil War resounds here, with the "first White House of the Confederacy" only steps from today's government buildings, and a gold star marking the spot at the state capitol building where Jefferson Davis took his oath of office and became the first, and only, president of the Confederate States of America in 1861. So too does the Civil Rights Movement resound in Montgomery. The 1965 marches from Selma to Montgomery, and those who were hurt and died on those marches in support of voting rights, are commemorated here. 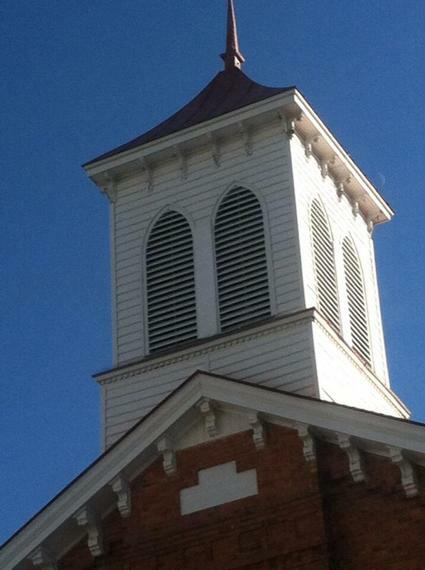 The steeple of Dexter Avenue Baptist Church, built on the site of a former slave trader's pen, rises in simple red brick and white wood in front of the state capitol dome. Today, the church also bears the name of its twentieth pastor, Dr. Martin Luther King, Jr. Rosa Parks has a library and museum memorializing the Montgomery Bus Boycott, as well as sponsoring programs for children, and art and cultural events (including a recent quilting workshop; Parks was a seamstress), named in her honor on the campus of Troy University. Our conference took place primarily across the street from the Rosa Parks Museum, as Troy University professors Kirk Curnutt and Sara Kosiba were the event's organizers. We were downtown, and could walk easily to all the sites I've spoken of, as well as to the Alabama River and Riverfront Park. At the edge of Riverfront Park, where the old city auditorium used to stand, there is a statue of a man who used to play there, one of my -- and many people's -- favorite singer/songwriters: Hiram King Williams. 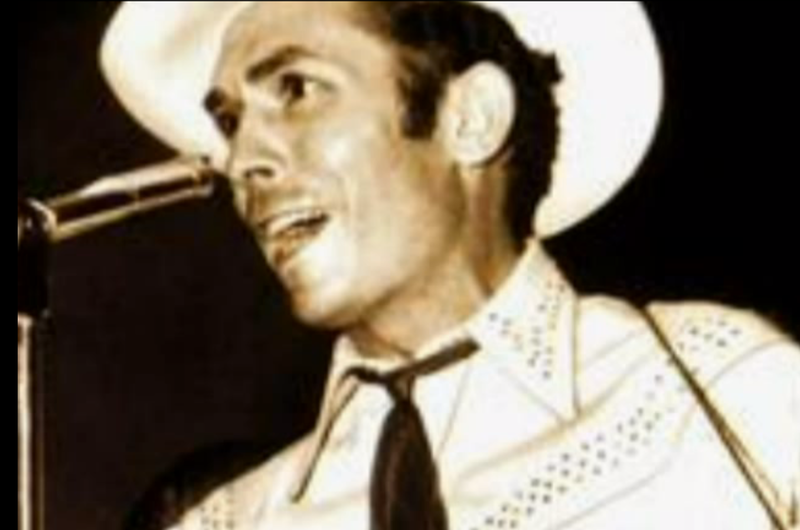 Zelda Sayre Fitzgerald may be Montgomery's favorite artistic daughter, but Hank Williams is Montgomery's favorite artistic son. (Nat "King" Cole was born in Montgomery, but is far more associated with the city he moved to at four, Chicago.) Born and raised sixty or so miles south, down Highway 31, Hank became famous while living in Montgomery during the 1940s. 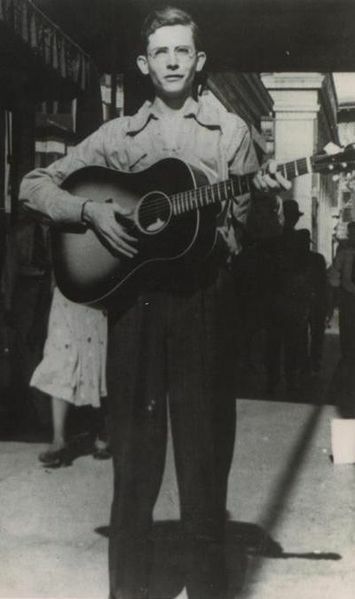 His mother ran a boarding house downtown, and Hank worked as a shoeshine boy, and played his guitar, on the streets to make a little money. By 1947, Williams, only 24, had a major hit with "Move It On Over." He wrote hard, lived hard, and toured hard. Leaving Montgomery for a New Year's Eve concert in Charleston, West Virginia in 1952, Williams hired an Auburn University freshman, whose father ran a local taxi service, to drive him to catch a plane for the show. A blizzard meant there'd be no flying, and so they drove on. The man who so finely fused American music -- folk and country and boogie-woogie and blues -- and sang what he wrote like ringing a bell, died somewhere on a dark, snowy road in Virginia or West Virginia early in the morning on New Year's Day, 1953, with his stage clothes on. His elegant, lanky body was clad in a skinny electric-blue suit and brown leather slippers. 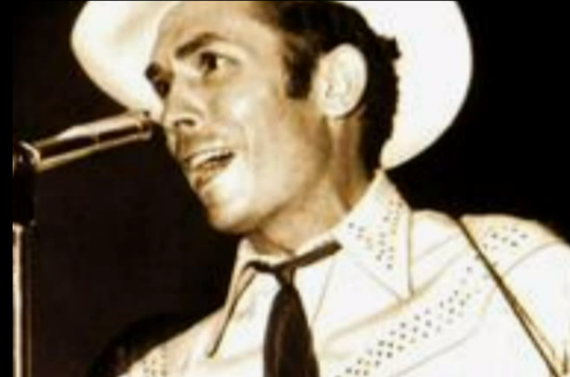 You can see them, along with Hank's Nudie's suits and cowboy boots, his first Gibson guitar, and the Williams family supper table, in the Hank Williams Museum on Commerce Street. The baby-blue 1952 Cadillac convertible in which Hank died is there, too -- it's a beauty, and without its history I'd love to drive it and treasure it. But the empty back seat looks like a dug grave to me; the pretty old car carries too heavy a weight. Williams is indeed buried in Montgomery, on a sunny hilltop in Oakwood Cemetery -- where the Sayre family plot is nearby, and the graves of Confederate soldiers, most those of unknown men, face you as you look from Williams's tombstone toward town. When you head out of downtown, Montgomery's history keeps you company through quiet wide streets and grassy sidewalks, past old frame houses and year-round flowers. 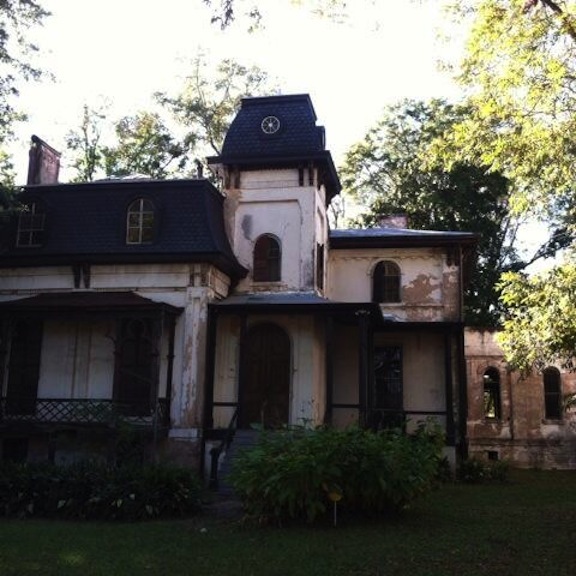 I wanted to see as much of the city as I could walk through, and explored my way out of the town center along the river and into the old Garden District, past AME churches and under Interstate 85. The lilting, lyrical heart and soul of local -- and American -- music was on the sound system at True, a delightful restaurant in Montgomery's Cloverdale neighborhood, when we had supper there. Williams's "Long Gone Lonesome Blues" backed up butternut squash risotto, heirloom tomatoes, and a rich, dark, classic gumbo. The Lattice Inn, around the corner from Cloverdale and a fifteen-minute walk from downtown, was as close as I could come to staying at Zelda's house. The Lattice, built in 1900, has a lovely garden (with a salt-water pool), friendly cats (Terrence and Philip), many shelves of books to read and a comfortable, private porch on which to read them. 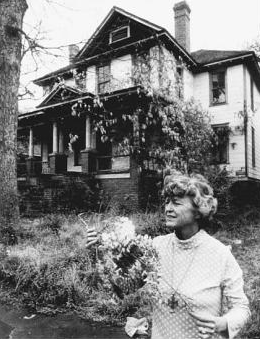 The Pleasant Avenue home where Zelda grew up, with its garden and high ceilings, wide front porch and hanging wisteria, was pulled down despite the efforts of the Fitzgeralds' daughter, Scottie, to save it. A vacant lot full of cars being used for parts is there now. I was glad to give my paper on Scott and Zelda in Hollywood at the Fitzgerald Conference last week. It was a pleasure to see so many people there, old friends and new acquaintances and students soon to be professors, and to learn much from the panels and sessions I attended. I was gladder still to have traveled back to Montgomery after many years, and found so much there, old remaining ever new. Hakim, of Pie People, and his homemade wares. He travels from Selma to Montgomery to sell them. The pecan pie will amaze and delight you; try it when you visit.